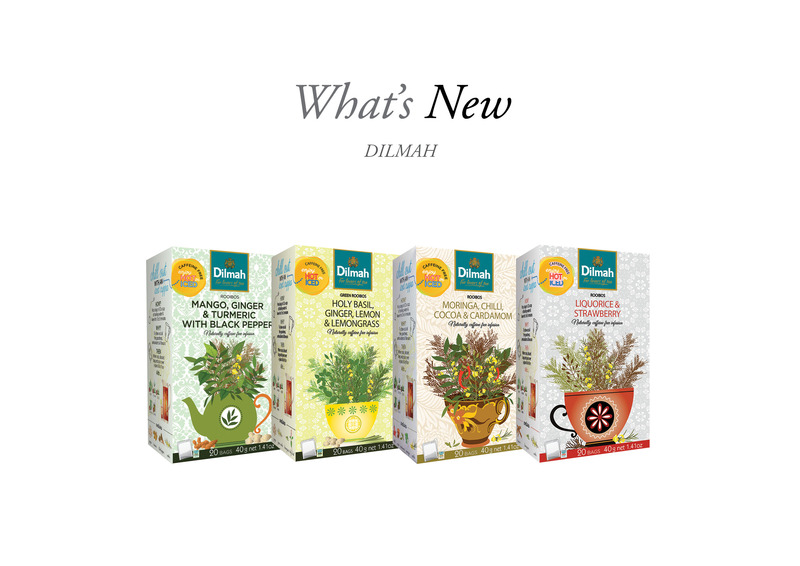 Packed full of goodness and flavour, an exciting set of new blends are added to the Dilmah Infusions range. Along with classics such as Peppermint and Camomile these new additions include ingredients like Holy Basil, Black Pepper, Chilli and Liquorice root. There’s more of the hugely popular Turmeric and a welcome appearance of the next big health trend, Moringa! Every cup is sure to lead you on an exotic journey to the home of Dilmah in Sri Lanka, famous not only for it’s tea but natural spices and ancient Ayurvedic medicine. As always the Dilmah family brings to the market more products with integrity and soul.